Forty years after it was initially developed, Eaglemoss presents a special bonus issue from Gene Roddenberry's Star Trek sequel that never was: Star Trek: Phase II. 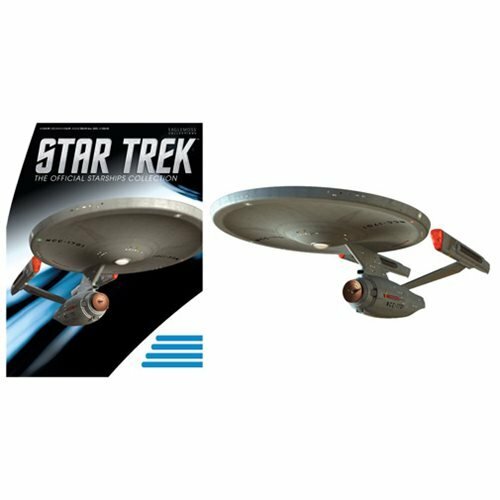 This Enterprise was designed for the show by the legendary Matt Jefferies, and has been produced in die cast and high-quality ABS materials then hand painted with an incredible level of detail. Now is your chance to grab one of the rarest Enterprises ever produced. Ages 14 and up.